Print the shipment invoice instantly through quick print options. There are multiple print size and layouts availabe to custmize the invoice layout. 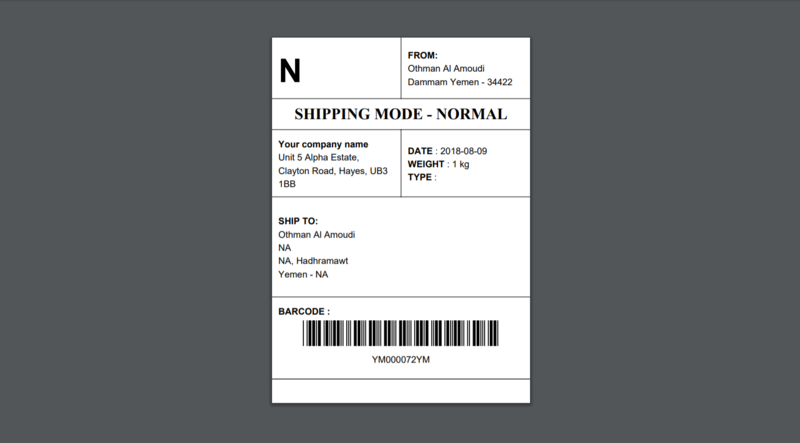 ... Print the shipment label instantly through quick print options. There are multiple print size and layouts availabe to custmize the label layout. Tracking shipment is one of the key factor in the logistic platform which endorse your identity in the market. Customer satisfication in terms of shipment update always high with waybill.work platform with the help of email notifications and live updates. 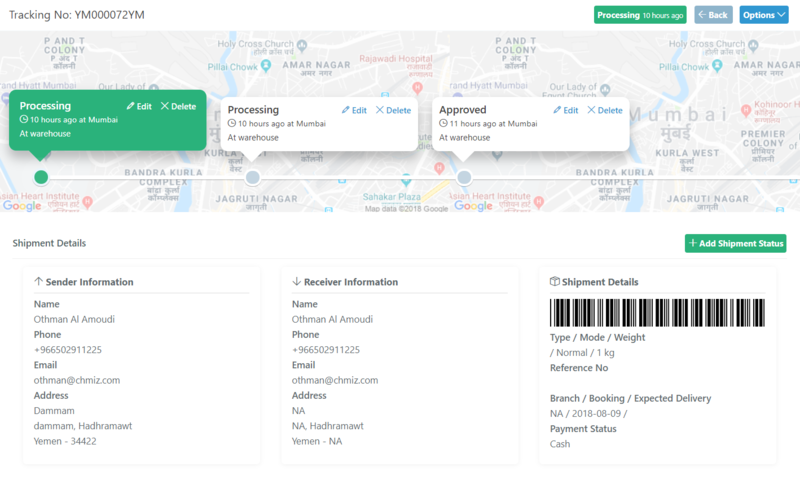 Shipment tracking page gives enough information about the customer shipment which will reduce the customer enquiries towards the shipment. Publicly available tracking and immediate email notifications will let your customers to track their shipments without logging in to the system. 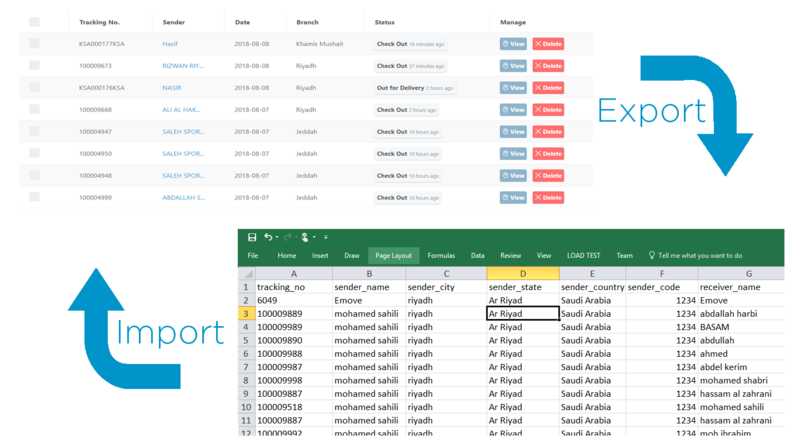 Excel import option used to import shipments directly into the system using specified import format. This is best suitable shipment adding method for B2C logistic model. You can download the sample import file from the system tp fill the details. 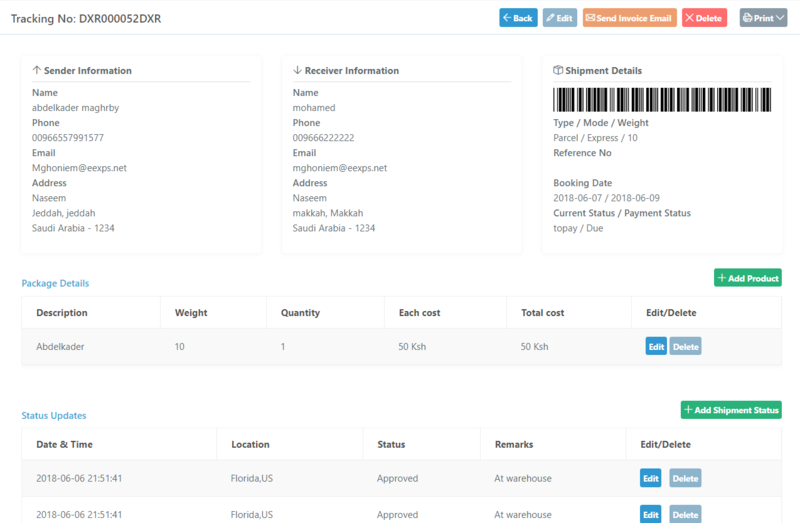 Barcode for your tracking number will be generated automatically based on your barcode encryption configuration. There are many barcode types available to choose from. The same will be printed in the shipment invoice and other places. Any USB supported barcode scanner can identify the waybill.work tracking number to pull the shipment information. Proof of delivery is the key functionality in the logistics sector. We have provided multiple options to collect the proof of from customers. 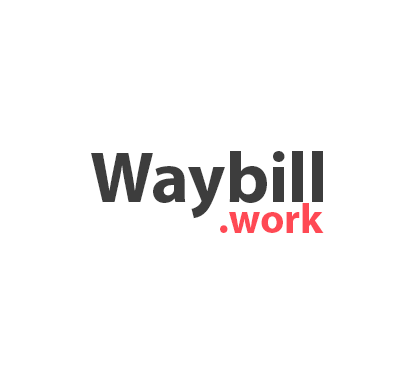 Waybill.work where offers digital signature functionality for drivers. 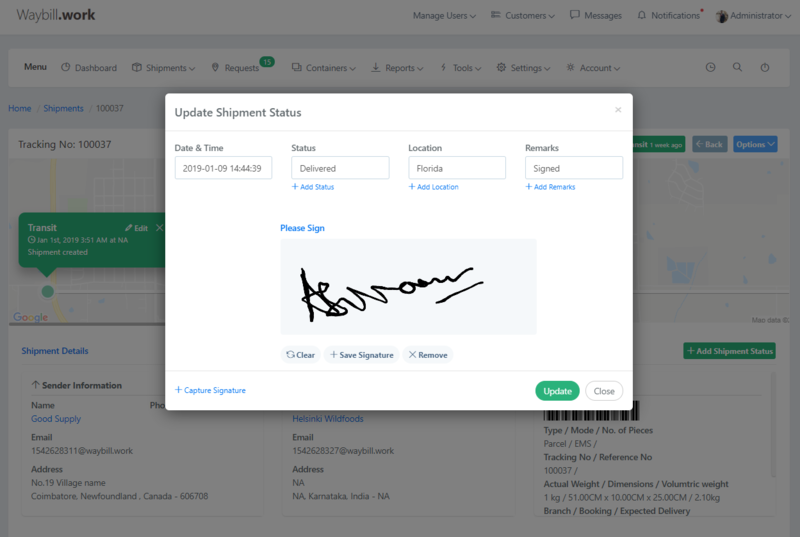 Drivers can log in to the system through the web portal or mobile application to get the signature from customers while delivering the shipments. Also, the driver can upload signature in the format like images.